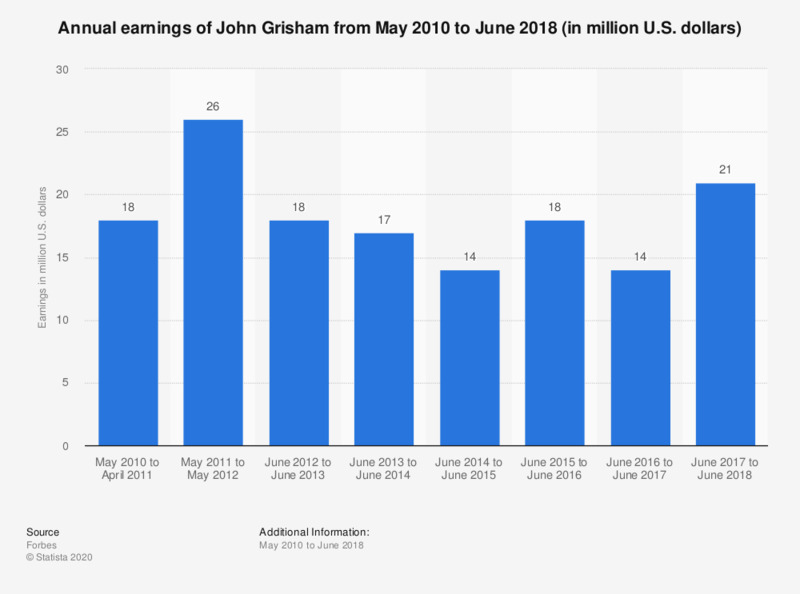 The statistic presents data on the annual earnings of John Grisham from May 2010 to June 2018. The author earned 21 million U.S. dollars in the period June 2017 to June 2018, up from 14 million a year earlier. Figures for the period May 2010 to June 2017 come from earlier Forbes reports. The source provides the following information on the methodology: "To form the list of highest-earning authors, we look at print, ebook and audiobook sales from Nielsen BookScan figures, consider TV and movie earnings and talk to authors, agents, publishers and other experts. Earnings (...) are pretax; other fees are not deducted." How much do critic reviews of a TV show influence your decision to watch it?